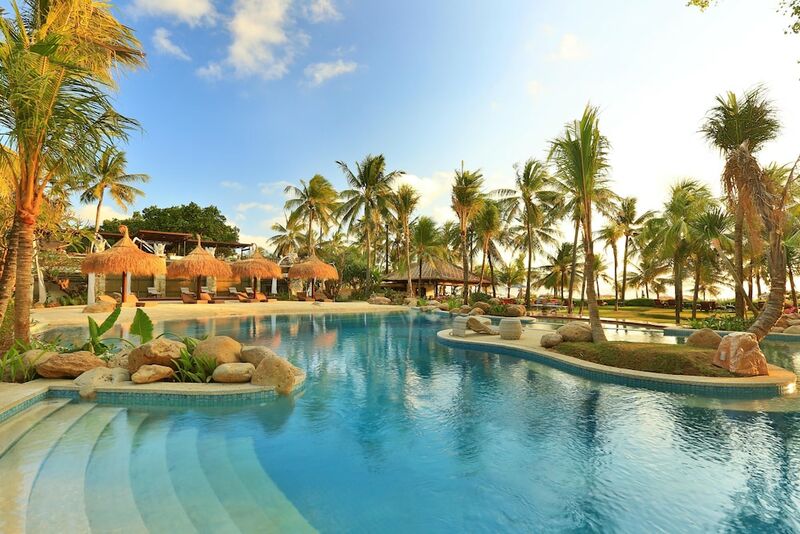 These best beachfront hotels in Legian Beach promise you a fun and memorable tropical seaside holiday in Bali. Legian is sandwiched between two of Bali’s other popular beach resort areas, namely Kuta and the more upscale area of Seminyak, therefore staying here will get you the best of two worlds. Furthermore, if you choose any of these great hotels right on the beach of Legian, you can rest assured that you have easy access to the sand, surf and fun in the sun! Most of these best beachfront hotels in Legian Beach are centrally positioned, allowing you ease of access to most of the dining, shopping and nightlife highlights that Legian is best known for, while welcoming you back to a relaxing stay that is within easy access to the sands of Legian. Some of these great hotels right on the beach of Legian even feature great dining venues, where you can take in the most dramatic of Bali sunsets.